* Aren't these just the cutest things ever! 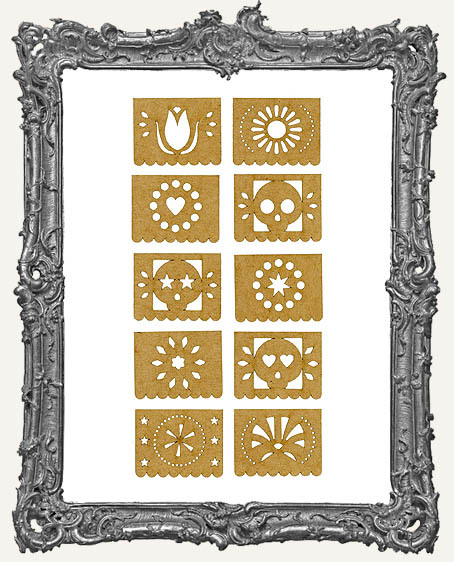 Set of 10 different designs as shown in the first photo. 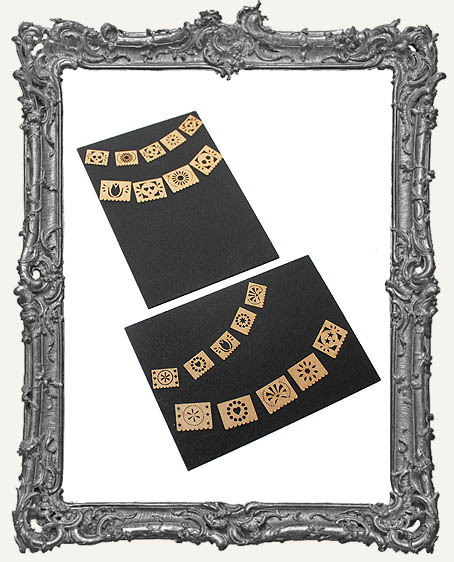 * Made from sturdy .015" thick Stencil Board, a thin yet very durable material. Your choice of five sizes. * Color them with paint, markers, and more, and then string them up to make a banner (I like to glue them to dental floss!) or draw on a string on your project and attach them to your cards, ATCs, journals, and more. Photo #3 shows the Micro (SO little) and Tiny on Black Mat Board ATC Blanks. 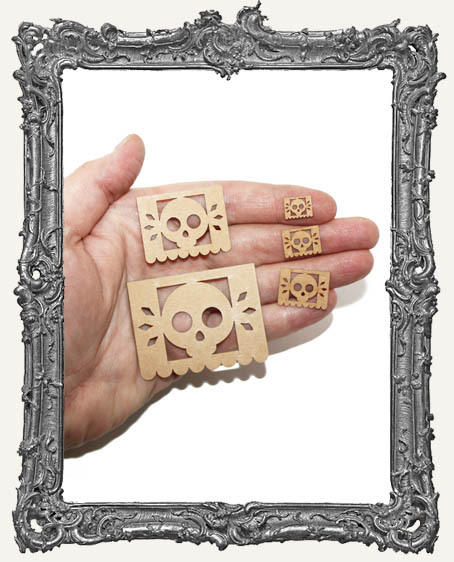 * The thinner material works great for Paper Crafts and Smaller Shrines. The Micro and Tiny sizes are great for ATCs. * Find more of our Picado goodies here.